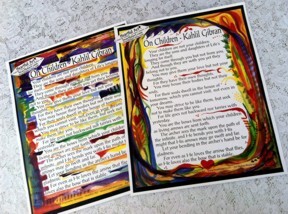 11x14 poster of Kahlil Gibran's famous On Children quotation from The Prophet with the colorful art by Raphaella Vaisseau, perfect for a nursery or child's room. 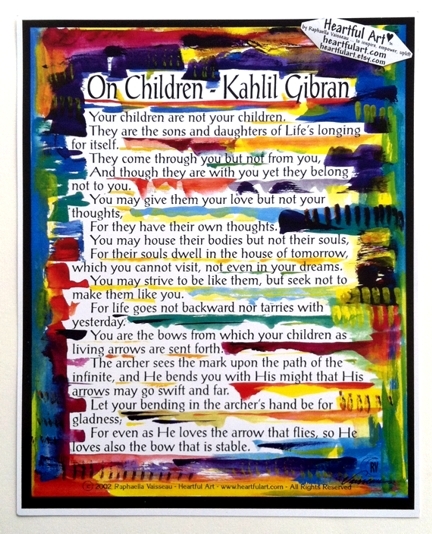 This inspirational print is a treasured shower gift or birthday present for boy or girl. Be strong in detachment, flexible in loving. Raise your children well.